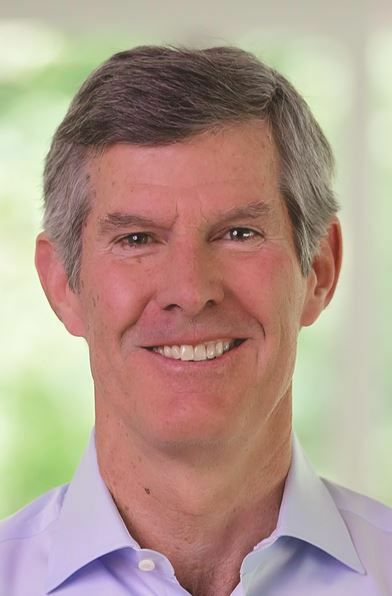 There was little doubt Fred Hubbell would win the Democratic gubernatorial primary election yesterday and he did with 98,013 votes or 55.5 percent of the total, according to preliminary results from the Iowa Secretary of State. It wasn’t predetermined. There were no establishment Democrats behind cubicles in Des Moines calling the shots. He is a progressive Democratic candidate who ran a successful campaign voters could relate to. It was a straight up win for Hubbell and Democrats should and likely will rally around his candidacy. On April 17, I posted what my neighbors were saying, that we were down to two candidates, Hubbell and Nate Boulton. When Boulton dropped out of the race, it cleared the path for Hubbell’s victory last night, at least according to their analysis. If one listens to the community there are grains of truth if we are only perceptive enough to recognize them. I hope Hubbell finds room in the general election campaign for his rivals and that they help him in substantial ways if he defeats Republican Kim Reynolds. I also hope Democrats recapture control of the Iowa House of Representatives, and eventually the Iowa Senate, because the governor can’t make needed changes alone. So it’s Hubbell. Good. That means the June 16 State Convention will be shorter than if we had to pick a nominee. I stayed up late enough last night to get a flavor of the returns. My new friend Zach Wahls won his primary for Senate District 37 against three others. I knew when I met him on Jan. 13 Wahls is the kind of leader Iowa needs. We need the perspective and energy of the next generation of politicians. I am exquisitely glad voters picked a young person who is also an advocate for LGBTQ rights. It was my pleasure to contribute in a small way to Wahls’ campaign. I’m also glad I can leave his bumper sticker on my car until November. Janice Weiner, Wahls’ only effective competition, ran an excellent campaign but fell short of votes needed. Weiner won Cedar County by 65 votes but it was not enough to overcome Wahls’ margin in Muscatine (5 votes) and Johnson (1,682 votes). As I told a former candidate for the house district that includes Cedar County, Johnson County drives the bus of who gets elected in current Senate District 37. Redistricting may change everything in a couple of years, but this cycle, Wahls had the strategy and tactics to win this race. Janelle Rettig and Pat Heiden won berths to the county supervisor general election. Both of them ran exceptional campaigns, particularly Heiden who came from a fourth place finish in the 2016 Democratic primary into her own. I have more to say about that race and want to take a closer look at the precinct results. I supported Mike Carberry, however, one could see it was a lost cause as early as April when I wrote my candidate profiles of the three contenders. I framed up the problems in this twitter thread. I’m encouraged there will now be three women on the county board of supervisors. Soon I need to get ready for work at the home, farm and auto supply store. I’ll be thinking about the election on my breaks and while I’m hauling animal feed around the warehouse. Physical labor is a great way to process complex events. Congratulations to Iowa Democrats on this positive primary election.